When we got hold of a copy of the newly re-formed Mammals’ latest album, ‘Sunshiner’, we knew that we had to get them to The Live Room. It’s a record full of heart, soul and joy, and wonderful playing – the perfect antidote to the misery of watching the news these days! We want you all to come along and feel the warmth; we all need it! 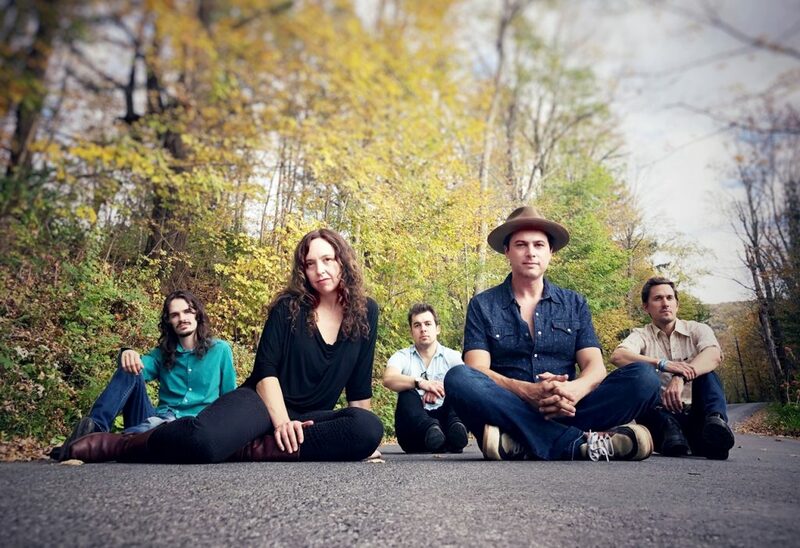 The Mammals are Ruth Ungar, Mike Merenda, and a cohort of compelling collaborators who form a touring quintet on the fiddle, banjo, guitar, organ, bass, and drums. A rough and tumble decade in the 00's forged The Mammals identity as ‘subversive acoustic traditionalists’ or a ‘party band with a conscience.’ Re-emerging from a hibernation period during-which the band's founders explored new songwriting terrain, The Mammals ‘don’t suffer from multiple genre syndrome, they celebrate it as if gleefully aware that the sound barriers separating old-timey music, vintage pop and contemporary folk are as permeable as cotton’ (Washington Post). Their new album, Sunshiner, was recorded at their own studio Humble Abode Music in West Hurley, NY with co-producer Adam Armstrong.